Full STEAM Ahead: Littlebits Founder: Want Kids Excited About STEM? Make Sure Parents Aren't Intimidated. 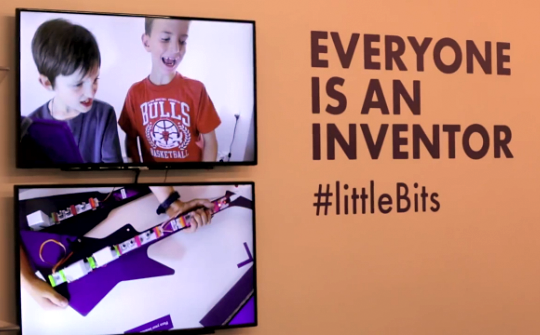 Littlebits Founder: Want Kids Excited About STEM? Make Sure Parents Aren't Intimidated. Much has been written about how to get kids excited about science and technology. But for LittleBits founder and CEO Ayah Bdeir, it all starts with the parents. "I think part of the challenge is that sometimes engineering is intimidating to the parents who themselves don't consider themselves tech savvy or inventors,” says Bdeir. For more from Bdeir on getting kids more interested in technology, check out the video here.